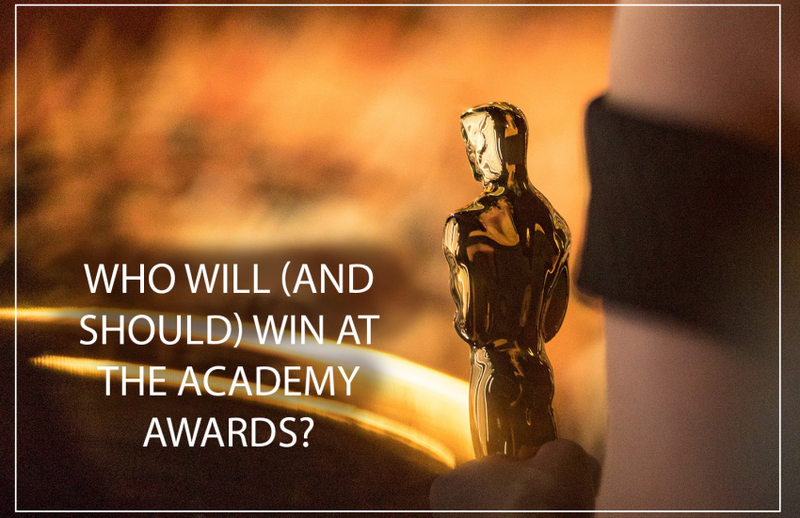 Who will (and Should) Win at the Academy Awards? The Oscars are this Sunday. If you’re a cinephile like us, this is our Super Bowl. It’s a day to celebrate the films and actors we love; a day to get together with friends and feast on themed snacks. It’s also a day to compete with those same friends. Yes, just as the nominees are competing against each other, you and your friends might have a contest going to see who can predict the winners in the most categories. If that’s the case, we want to help. We’ve used historical trends, current buzz, and well, our gut to compile a list of the likely winners in each of the major categories. And since Oscar Sunday is supposed to be a celebration as well as competition, we’ve decided to throw in our preferred winners as well. Explore below, and enjoy the ceremony! Should win: Most cinephiles would probably agree that is as good a list of nominees as the Academy has put together in a long time. There are several nominees here that would be worthy winners. 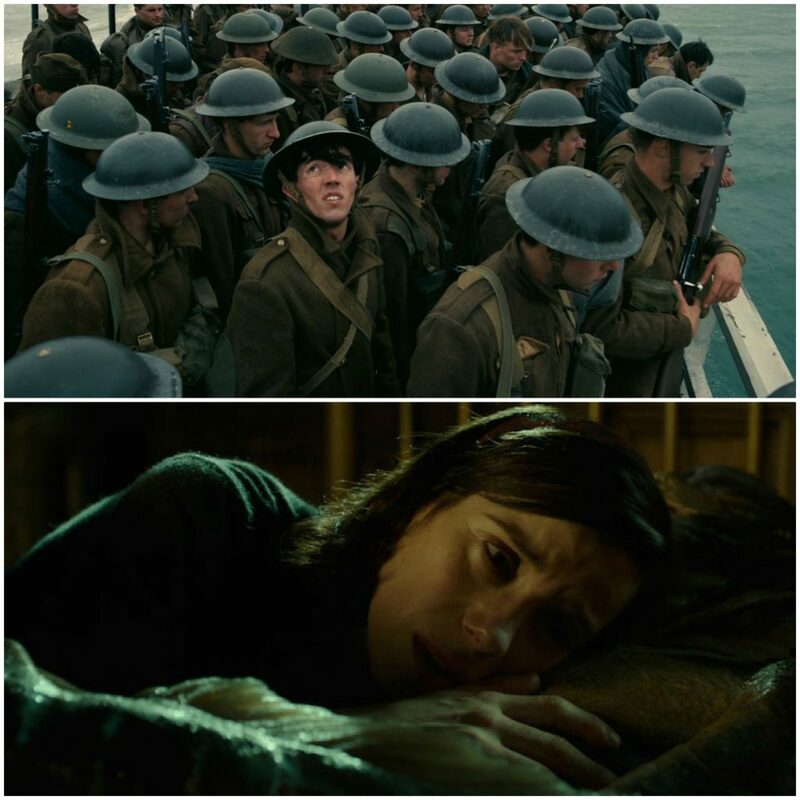 That said, Dunkirk is the best war film since Saving Private Ryan, and could set the tone for the genre for decades, just like Ryan did. Will win: As it is one of the strongest lineups in years, the race for the top honor is as competitive as it’s been in years. Three Billboards has won plenty of the precursors, but has experienced a backlash that has gained momentum. 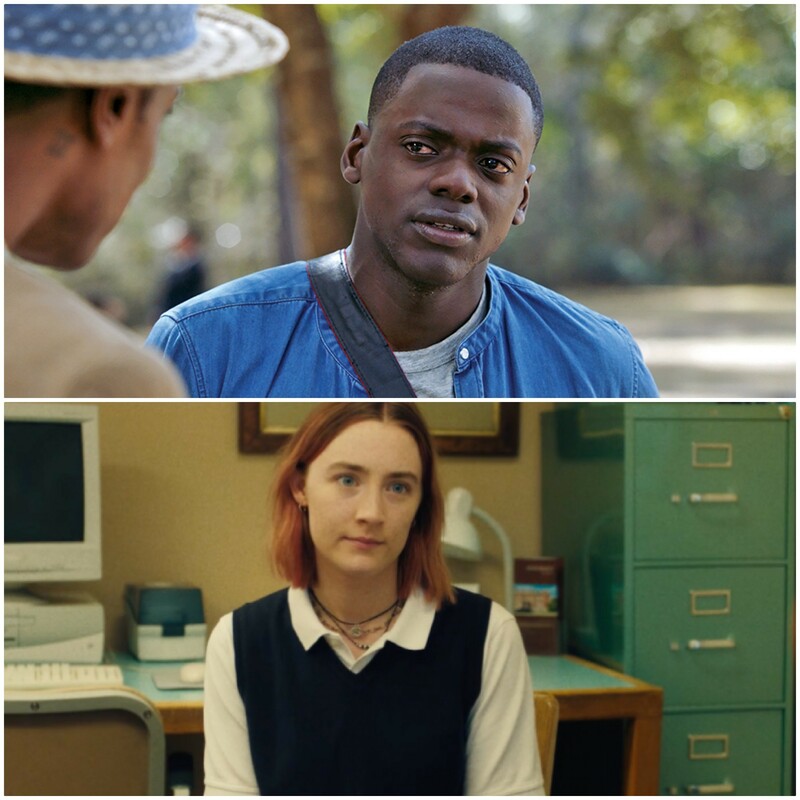 Lady Bird has lost some steam, and the Academy generally doesn’t reward comedies here. 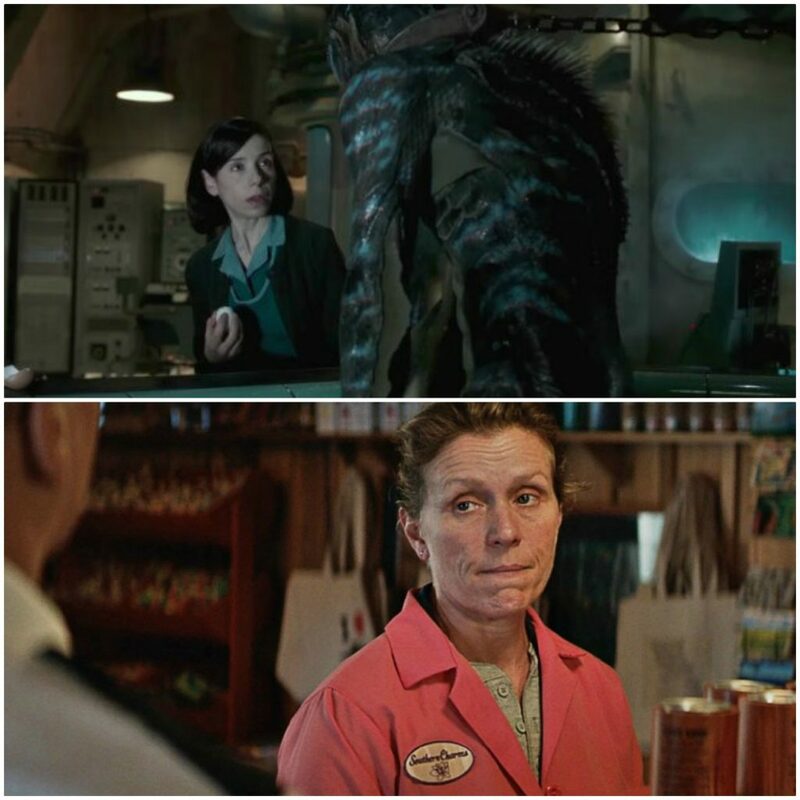 We’re going with The Shape of Water, which itself has won several awards during the runup, and has the most nominations. The goodwill for director Guillermo Del Toro won’t hurt either. Should win: We think it’s hard to separate Best Picture and Best Director. After all, isn’t a film the culmination of the director’s vision? That’s the primary reason we’re going with Christopher Nolan for his extraordinary work on Dunkirk. It takes incredible fortitude and determination to put together so many exquisitely designed setpieces, especially considering the film’s relative lack of dialogue. Will win: Speaking of Nolan, can you believe this is his first nomination in this category? That’s as mind-blowing as, well, one of his movies. In fact, it’s the first nomination for four of the five nominees. One of those other first timers is Guillermo Del Toro, the current frontrunner for his work on The Shape of Water. 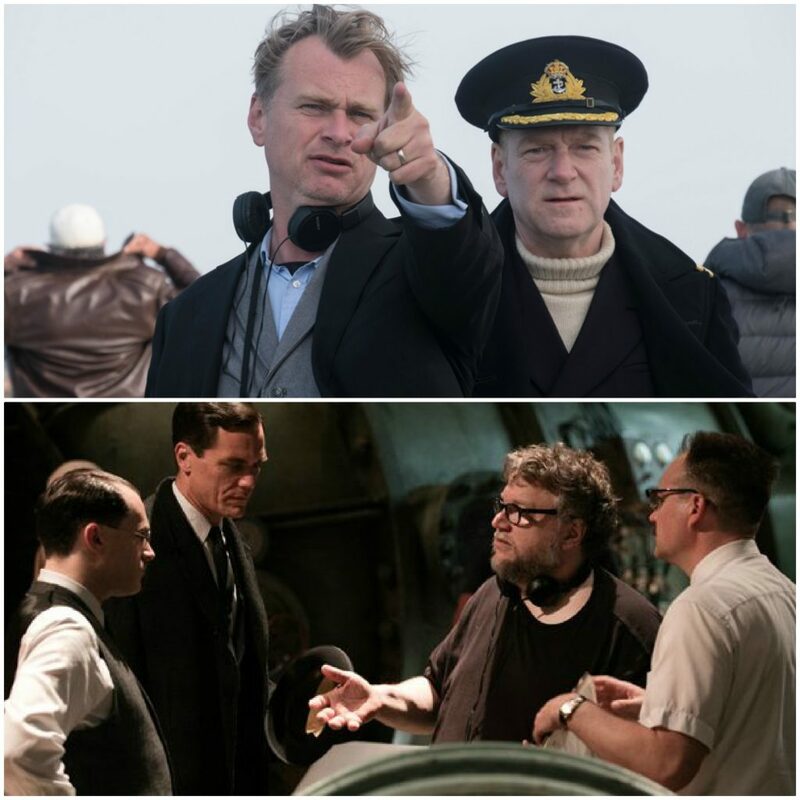 Best Picture and Best Director historically go hand-in-hand, but that hasn’t been the recent trend. However, we expect Del Toro and his masterful love story to break that trend this year. Should win: Daniel Day-Lewis has won this prize three times before, a feat no one else has accomplished. Then again, few actors in cinematic history have been able to compete with Day-Lewis’ talents and his ability to completely sink into a character. If it were up to us, Day-Lewis would ride off into retirement with his fourth trophy. Wil win: Whereas Day-Lewis has three previous victories, Gary Oldman has never even been nominated until this year. 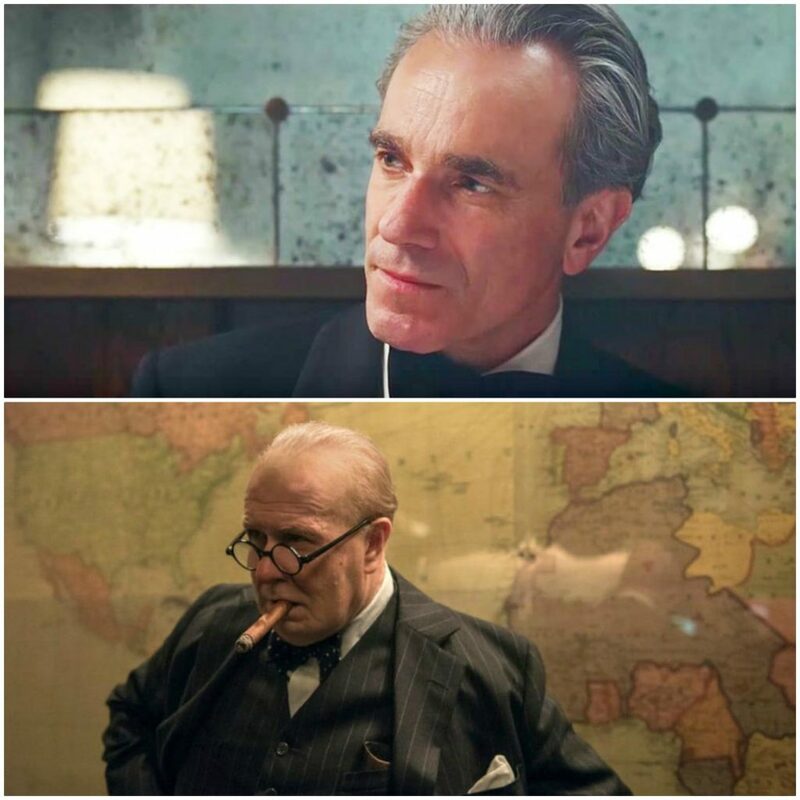 And it’s not like he’s a newcomer; Oldman has been one of the world’s most respected actors for decades. Combine the overdue factor with the fact that he’s playing an inspirational historical figure, and you have a sure thing. Should win: First off, everyone here would be a deserving winner. This is a remarkable group of nominees. This might be the hardest category to pick just one winner, truthfully. If pressed, we’ll go with Sally Hawkins’ sublime turn in The Shape of Water. It’s not easy captivating an audience and making everyone fall in love with you when you have zero dialogue. Plus, we’re still not over the fact that she missed out on a nomination for her work in Happy-Go-Lucky, even if that was ten years ago. Will win: For a moment, Three Billboards looked to be unstoppable in the top race. Then it missed out on a Best Directing nomination, and the backlash picked up momentum. That said, there’s enough for the love that it’s hard to believe that it will miss out completely, and Frances McDormand has pretty much cleaned up at the precursors for her fantastically funny and complex performance. She may not be a lock, but she’s a safe bet here. 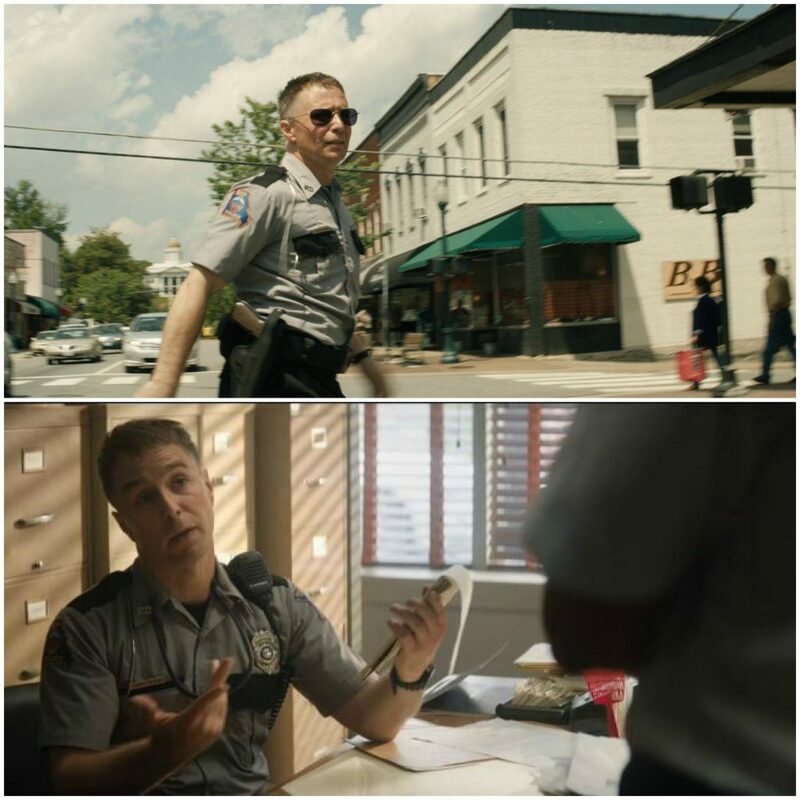 Should win: While we think that this is an example of category fraud and that his role really is a leading one, Sam Rockwell brilliantly humanizes a character that many actors would have been afraid to take on. Rockwell provides his bad cop character with shades of empathy that help underline the film’s complex themes. Will win: While McDormand feels like a safe bet in her respective category, Sam Rockwell might even be a safer bet. He’s won just about every award up until now, he has the most screen time of any of these nominees, and like Oldman, he can capitalize on the fact that this is his long overdue first nomination. Should win: The supporting categories usually play house to scene-stealers. 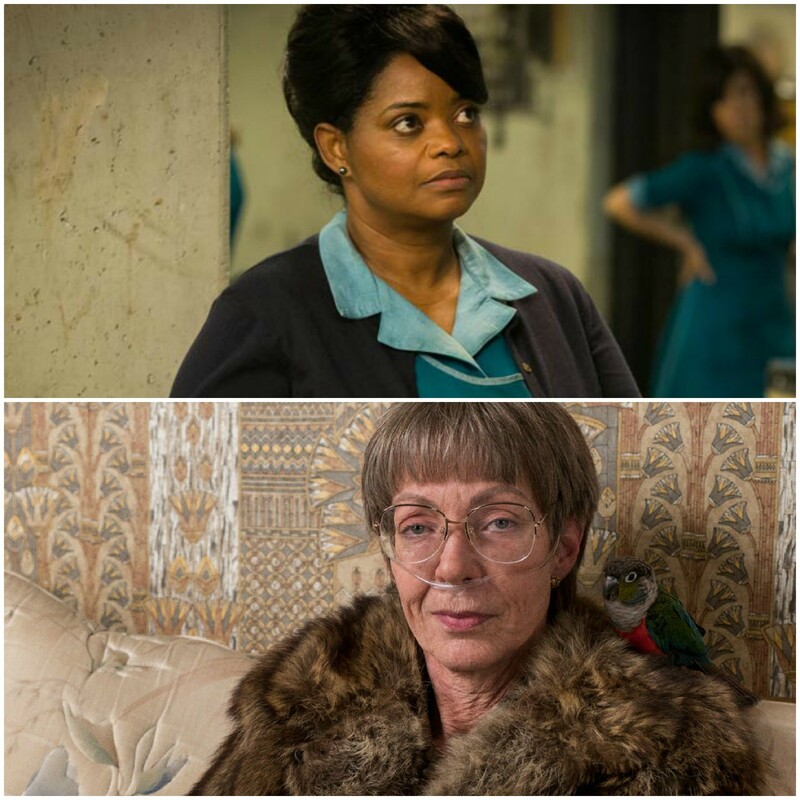 And isn’t Octavia Spencer one of the first names you think of when you hear “scene-stealers?” In The Shape of Water, Spencer furthers her reputation as one of Hollywood’s funniest and liveliest actors, and provides the film with much-needed levity. Will win: It’s not a hard-and-fast rule by any means, but you’re usually in a better position to win if you’re in the Best Picture nominee. That’s why you don’t rule out Laurie Metcalf, as she has an incredibly emotional role in a current Best Picture frontrunner. That said, Allison Janney has won most of the precursor awards, and she’s been an industry favorite for a long time. While this race could go either way, Janney is the likely winner. Should win: No disrespect to the other nominees, all of which are worthy of being here. But Call Me by Your Name is our runaway preference here. Filled with piercing dialogue and tender moments, this script is a prime example of how to translate a classic novel to the big screen. 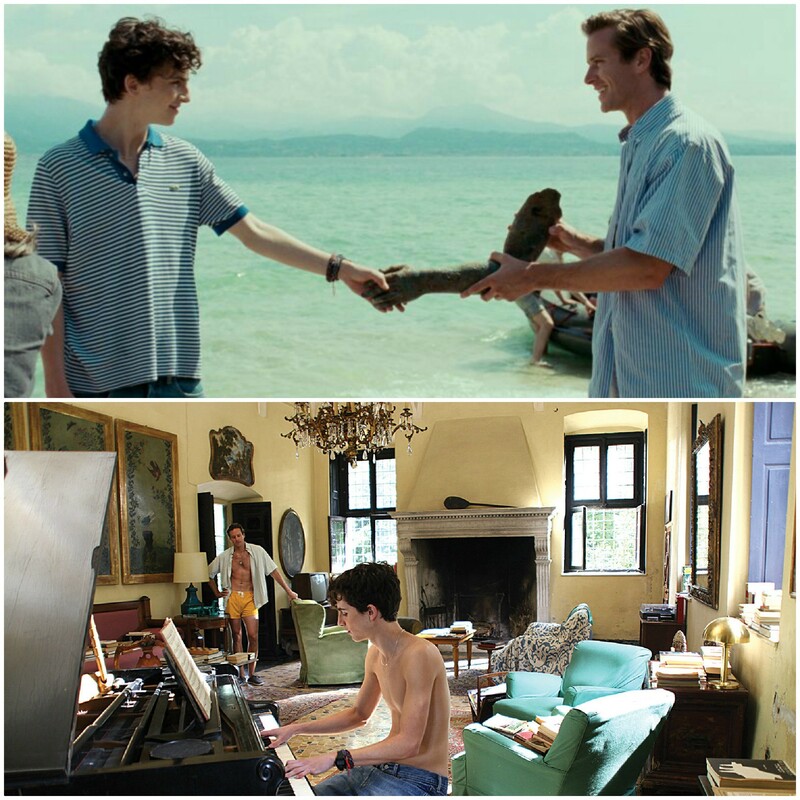 Will win: Call Me by Your Name is the only Best Picture nominee in this category, and it was written by James Ivory, a former Academy favorite who never could quite cross into the winner’s circle. Don’t overthink this one. This is as close to lock status as you can get. Should win: This is, once again, a fantastic group of nominees. But since this is the category that rewards originality, we’ll do just that. As good as the other screenplays are, nothing matches the innovation and cultural relevance that underlies every moment of Get Out. Not only is it the best horror movie in years, it comes attached with brutally honest satirical takes and hilarious one-liners. Will win: Unlike its adapted counterpart, this race is wide open. All of the nominees could feasibly win, save The Big Sick. There are historical indicators and current trends that back up the case for all the other nominees. We’re going to go with the fact that this is the only category where comedies tend to get favor and the fact that the Academy loves to reward actors-turned-filmmakers. As such, we’re going with Lady Bird, but it’s the pick we’re least confident about. Previous Post:What’s Up with Ricky Gervais? Next Post:Will Artificial Intelligence Unlock the Future?